On the 5th of February one of the most spectacular and joyful festivals in the Asian world commences. Millions of people across twenty Asian countries are preparing for the Chinese New Year, alternatively called the Lunar New Year and the Spring Festival. Introduced somewhere between the 17th and the 11th centuries BC, during the reign of the Shang Dynasty, the New Year ceremony was initially upheld to worship gods and give tribute to one’s ancestors. A legend closely connected to the New Year festivities tells about the war wedged against a monster called Nian, whose name later became a word for a “year.” Although draconian and fire-spitting, Nian had its weaknesses: it was intimidated by the colour red and loud noises. To prevent Nian from visiting their houses, people decorated them in red at the end of the year and set off firecrackers, creating loud sonic booms. This tradition carried on to today almost intact, whilst accumulating additional characteristics along the way. Now the Chinese New Year has become a pleasant occasion to spend time with one’s relatives and wish them happiness and success for the year ahead. The most prominent elements of the festival would still be easily recognized by former generations: the red-golden dragon, cracking firecrackers, and money given in red envelopes has passed down unchanged through the centuries and still symbolises affluence, stability, and happiness. 2019 will bring security and success galore to people of all astrological zodiacs, because it is the year of the Pig, a traditional symbol of luck, good fortune, wealth, honesty, and general prosperity. Cutting edge technology to streaming your payroll in over 100 countries for EoR, contractors, and payroll for all types of workers. Despite these recurring attributes that the festivities in most Asian countries share, celebration of the Chinese New Year is not uniform. Not only is the New Year named differently across Asian countries, it’s also commemorated somewhat unequally. In some countries, people (quite literally) paint the town red, giving themselves wholly to the New Year revelry and partying hard for several days. In other countries, the New Year is paid only lip service, with people merely meeting their families for one festive meal. Asian people’s different attitude to the Chinese New Year is clearly reflected in the laws governing public holidays in their countries and in the compensations given to employees during this festive season. In China, the celebration of the beginning of the year, the Spring Festival (Chūn Jié), is the most dazzling and prolonged compared to its neighbours. The celebrations overtake China with little to no manufacturing or trading done for three to four weeks. Factories and plants shut down with migrant workers needing to travel to distant parts of China to reunite with their families. Big cities such as Beijing, Shanghai, and Shenzhen empty out during this period, and generally speaking businesses will be off-line for the whole week. Do not expect many updates from your Chinese teams during this time. In 2019, The Chinese New Year is celebrated for 7 days, from February 4-10th. To allow workers more consecutive days off and more time with their families, the Chinese government has a practice of re-arranging work and rest days. To accommodate this longer leave, this year, February 2nd and 3rd (Saturday and Sunday) become working days and the actual bank holiday falls on February 5th ,6th and 7th. Only 3 days during the Spring Festival are paid. Employees receive the average daily salary based on their history during these three days. Many Chinese companies will pay annual bonuses, including 13th month salaries to the employees before the Spring Festival. The festival is also a great occasion to organise Chinese New Year company dinners contributing to team building and allowing senior management to share with their employees important company updates and plans for the upcoming year. In Hong Kong, the Chinese New Year is called the Lunar New Year. As is the case with China, the festivities in Hong Kong last from the 5th of February till the 10th of February. Only 3 first days of the holiday – the 5th (Tuesday), the 6th (Wednesday), and the 7th (Thursday) of February – are paid to employees, provided they worked under contract for no less than three months. Employers pay daily wages to their employees during the Luna New Year. The daily rate of the holiday pay is a sum equivalent to the average daily salary earned by the employee in the 12-month period preceding the 4th of February 2019 or the first day of the holiday, the 5th of February. If the employee works less than 12 months, the calculation is based on the shorter period. When employers calculate the average daily wage, they exclude any period during which they are not paid full salary, among which are rest days, emergency leave, sickness, and so on. Employees will receive their pay for the New Year holidays on the day on which they are paid their February wages. If employers do not grant their employees days off during the Luna New Year, they will be fined HK$50,000. 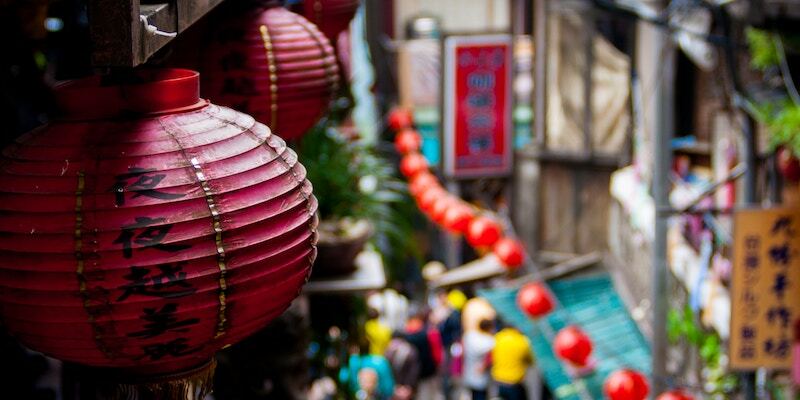 In Taiwan the Chinese New Year is alternatively called the Spring Festival or Luna New Year. In 2019, Taiwanese employees are enjoying longer New Year holidays than usual. With the holiday amounting in total to 9 days, they are given 3 more days off this year. The Directorate-General of Personnel Administration (DGPA) has recently announced the following arrangement of the forthcoming holiday: whenever it falls on Tuesday or Thursday, it will be extended into a day off. The previous Saturday will be used as an official work day to compensate for the extra day taken off to create the longer holiday. Thus, this year, the third day of the Lunar New Year, the 7th of February, lands on Thursday. Hence, the following Friday, the 8th of February, will be given as a day off to extend the holiday. The 8th of February will be compensated by Saturday, the 19th of January, which is made a working day this year. Employees working during the Lunar New Year holiday will receive double their hourly rate. If the holiday coincides with the working employees’ days off, they will receive compensatory time off. Employers violating these regulations not only will pay their employees back but will also be fined. Called Têt Holiday, the Lunar New Year in Vietnam is celebrated on slightly different days. Têt Holiday in 2019 starts earlier than the celebration in China, on the 2nd of February (Saturday), and lasts till the 10th of February, which falls on Sunday. The particularly important day during this holiday is the Têt Eve or the Vietnamese New Year’s Eve celebrated on the 4th of February, on Monday. The 5th of February (Tuesday) is Têt Nguyen Dan, the New Year. Prior to the holiday, employees will receive a customary lunar new year bonus, known as the Têt bonus. This bonus does not have a fixed amount. Its amount usually depends on a specific company and employee’s performance. In addition to the Têt bonus, employees receive full payment for 3 first days of the holiday. Those employees who are working during the Lunar New Year holidays will receive tree times of their daily wages. Although it starts on the 5th of February, as it does in China, the Chinese New Year in Singapore is celebrated for a much shorter period. Only two days – the 5th of February on Tuesday and the 6th of February on Wednesday – are given to employees as days off. Employers pay employees’ gross rate of pay during this holiday, provided they worked on the 4th of February or the 7th of February. Employers can be absent on the day before and after the New Year and be paid only if they have authorised leave such as sick leave, annual leave, or unpaid leave. If employees take unpaid leave on the 5th or the 6th of February, they will not be paid for the holidays. If employees work during the two days of the New Year, they will be paid an extra day’s salary at the basic rate of pay. The Lunar New Year’s Day is called Seollal. In 2019, it is celebrated from the 5th of February to the 8th of February. All businesses in the country are closed for the holidays, and employees are paid for their days off. There is, however, no mandatory rule that obliges employers of private companies to pay their workers for the New Year holidays. Whether to pay their workers for the Seollal holidays or not is entirely their own decision. Those private companies that pay their employees will give an additional 50% to those who work on the 5th, 6th, 7th, and 8th of February. Resting employees will receive a regular daily pay. Although the Lunar New Year is subject to the substitute law, there are no substitutes in 2019, since no day off lands on Saturday or Sunday. The celebration of the Chinese New Year in Indonesia is a relatively recent phenomenon. It became an optional holiday only in 2001; and only in 2003, was it declared a national holiday. Known as Tahun Baru Imlek (Sin Cia), now the Chinese New Year is recognized by all Indonesian people, not only by the citizens of Chinese descent. Unlike other countries, Indonesia has only one day off to honour the beginning of the year, the 5th of February. Those employees who choose to work on this day receive special overtime pay. Full-time employees will be compensated with two times their normal hourly wage for the first five hours of work. For the sixth hour of work, they will receive three times the normal hourly wage. If they remain to work for the seventh and the eighth hours of the working day, they will be paid four times their hourly salary. In all sixteen states in Malaysia, the Chinese New Year, usually referred to as Tahun Baru Cina, is upheld in 2019 on the 5th and the 6th of February which fall on Tuesday and Wednesday. It is a national public holiday, for which employees are given their regular daily pay. Those people who are asked to come to work during the Chinese New Year will receive two days’ wages at the ordinary rate of pay on each working day. Employees will also be given travelling allowance for the day of work, if their employment agreement specifies this. In Philippines, the Chinese New Year is known as Bagong Taón ng mga Tsino. In 2019, it is observed only on the 5th of February, on Tuesday. It is an unpaid holiday, but some private companies may have favourable policy and pay to their employees for this day. Or they may follow the Collective Bargaining Agreement (CBA) granting payment of wages on special days even when they are unworked. If employees choose to come to work, they will be paid extra 30% of the daily rate of 100% for the first eight hours of their working day. If their working day is longer, for any extra hours, they will be compensated with additional 30% of hourly rate paid on the Chinese New Year. If Tuesday of the 5th of February happens to be the employer’s rest day and he or she chooses to work, his or her first hours of work will be compensated with 50% of the daily rate of 100%. For any excess of eight hours, he or she will receive additional 30% of the hourly rate paid on this holiday. The official New Year in Thailand is called Songkran. In 2019, it is celebrated from the 12th to the 18th of April. But because Thailand is a home to 15% of population of Chinese descend, the Chinese New Year is held as a public holiday in Narathiwat, Pattani, Yala, and Satun provinces. In the remaining 72 provinces of the country and Bangkok, the 5th of February this year is a working day: government offices and shops stay open. Employers working on the Lunar New Year in the four provinces observing it as a public holiday receive a regular working day pay. 2019 will be a year of the Pig – which is considered a very auspicious sign in China, representing abundance and well-being. A smiling Pig will be frequently featured in business promotional materials in China this year. Happy New Year! Your knowledge base for all global payroll inquiries. Labor laws, compliance, compensation, benefits and more!